 Baku Court of Appeal rejected Mammad Ibrahim’s appeal and upheld Narimanov District Court’s judgment of March 15, 2016. Baku Court of Appeal, chaired by Judge Aflatun Gasimov (assisted by judges Vugar Mammadov and Amir Bayramov), held a preliminary hearing on the appeal filed by Mammad Ibrahim, advisor to the chairman of APFP. Mammad Ibrahim was arrested on September 30, 2015, based on the complaint of Mikayil Guliyev, who recently left the APFP. 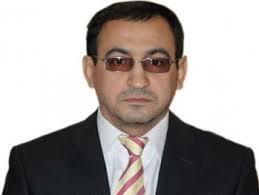 He was accused of striking Mikayil Guliyev. Mammad Ibrahim was charged under Article 221.1 (hooliganism) of the Criminal Code. Later, two more people, Oruj Valiyev and Mahammad Gurbanov also filed a complaint, claiming that they had also been struck by Mammad Ibrahim during the incident. After that, the initial charge was changed to a more serious one under Article 221.2.2 of Criminal Code. Mammad Ibrahim was sentenced to 3 years in prison by Narimanov District Court’s verdict of March 15, 2016. The appellate complaint has been filed against this verdict. Mammad Ibrahim’s lawyer Fariz Namazli made a speech at the hearing. “The evidence examined during the trial unequivocally proved that not only Mammad Ibrahim had not committed any crime, on the contrary, he himself was the victim of a crime. Prosecution witness Agshin Hagverdiyev testified that Oruj Valiyev and Mahammad Gurbanov had not been at the scene of argument at all. Witness Anar Ismayilov also noted that during the argument Mikayil was uttering obscenities. Victims Mikayil Guliyev’s, Oruj Valiyev’s and Mahammad Gurbanov’s testimonies were put down in the court verdict in a completely distorted form, while witnesses Vugar Abbasov’s, Elchin Shukurov’s, Agshin Hagverdiyev’s and Anar Ismayilov’s testimonies were partly distorted. When Mammad Ibrahim’s act was reclassified from Article 221.1 of the Criminal Code to Article 221.2.2 thereof on October 05, 2015, neither the accused, nor his counsel was informed about it. It was only on October 20, 2015, during the Narimanov District Court hearing of the motion to replace the pretrial detention measure with house arrest for Mammad Ibrahim, that investigator Mubariz Suleymanov informed of the decision on reclassification. The defense counsel’s motion to provide the defense with a copy of the decision and the materials that served as a ground for this decision was not sustained,” the lawyer said. Fariz Namazli also stressed that although the investigator had made a decision on carrying out a single-expert examination of the victim Mikayil Guliyev, instead a complex examination (several expert opinions) was illegally conducted, but still only one expert signed the final opinion. The lawyer noted that the evidence in the case had been obtained illegally by the investigative agency and therefore could not serve as a basis for the court to issue the decision, but Narimanov District Court disregarded these facts and delivered the judgment. Fariz Namazli requested that Narimanov District Court’s verdict of March 15, 2016 be revoked and Mammad Ibrahim be acquitted. Mammad Ibrahim’s other lawyer, Yalchin Imanov noted that Mammad Ibrahim had been arrested for his social and political activity and should be acquitted. Speaking at the hearing, the public prosecutor said the arguments of the appellate complaint were groundless. He requested that the appellate complaint be dismissed and Narimanov District Court’s judgment of March 15, 2016 be upheld. Baku Court of Appeal rejected Mammad Ibrahim’s appeal and upheld Narimanov District Court’s judgment of March 15, 2016.